A notable collection of jewels will come up for sale at Christie's Geneva on May 18: Princess Gabriela zu Leiningen, also known as Begum Inaara Aga Khan during her marriage to the Aga Khan IV, is offering 46 lots from her jewelry collection. It's a fascinating group of jewelry assembled by a knowledgeable collector who obviously loves her gems. The sale is expected to bring in over $15 million. The sale represents only part of her magnificent collection (a portion, according to this German Bild article, that was apparently not getting much use), but it includes some important and unique items. A suite of ruby and diamond jewelry created with Van Cleef and Arpels' famous Mystery Setting, a cultured pearl and diamond fringe necklace that belonged to Begum Mohamed Shah Aga Khan, and a Cartier parure including rare Burmese sapphires are among the pieces included. The Pohl Diamond. At right, it appears the Princess might be wearing it in the ring setting. 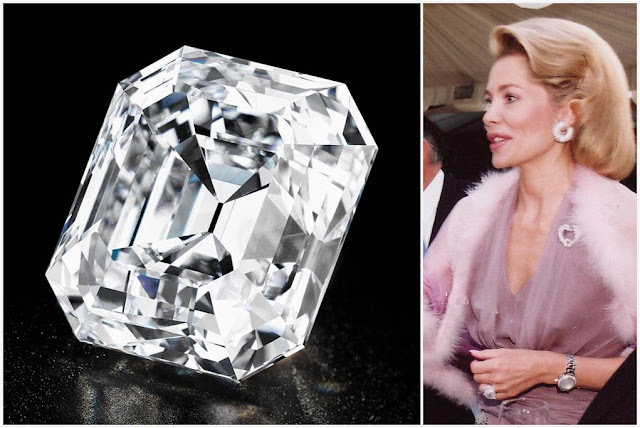 The 36 carat D color Pohl Diamond, a famous stone and the first major diamond to be polished in the United States, is sure to be a highlight of the sale. When mined in 1934, it was a 287 carat rough stone. It was acquired from Cartier in 1998 for the Princess; previously, it belonged Bernice Chrysler Garbisch of the Chrysler Family. Its estimate is $3.8-$5.5 million. An emerald and diamond necklace, by Cartier. There's a lot to admire here (this fascinating account from Christie's of meeting the Princess and seeing the jewels for the first time includes more pieces). 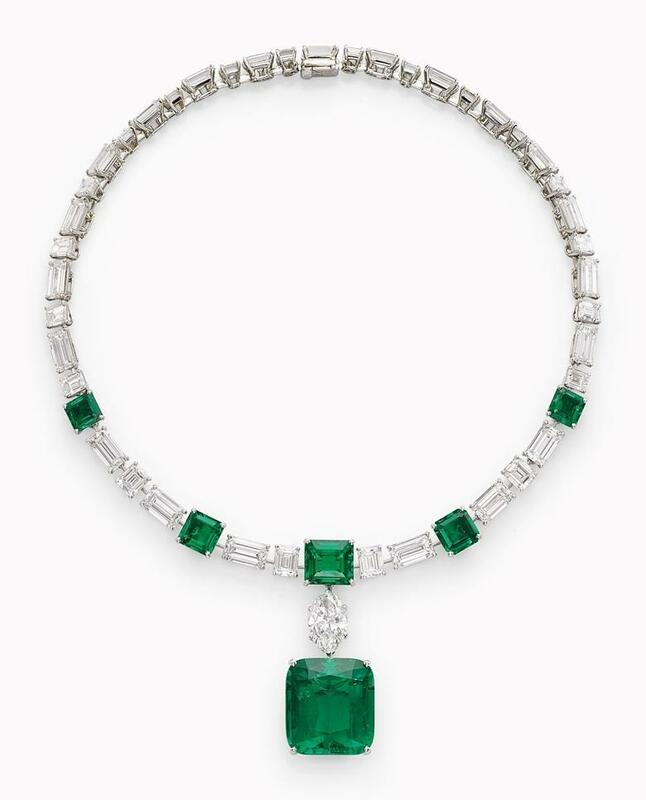 This Cartier emerald and diamond necklace might be winning most of my adoration, though. The detachable cushion-shaped emerald pendant weighs in at approximately 39.70 carats, and the necklace's estimate is a cool $2.5-$3.5 million. The Princess wore the emerald necklace - with matching earrings - to the dinner held ahead of the marriage of the present King and Queen of Spain in 2004 (above). The bright color is what intrigues me with this set, it's absolutely gorgeous. This May 18th auction will be one to watch.